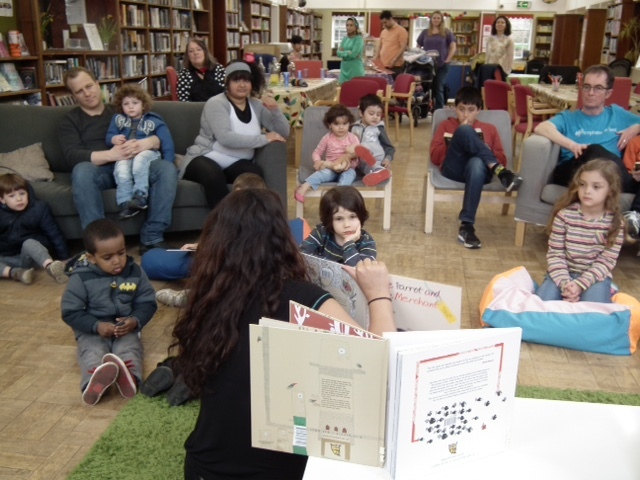 On Saturday 9 April 2016, we had a fantastic children’s book reading event at Belsize Park Community Library, one of the most gracious and welcoming libraries in North West London. *See more photos of this event here. The event consisted of a reading of two of our Persian children’s stories by Tania Khojasteh, Director of Über Tutors, three sing along activities by the talented Caroline Chan and a ‘colour your world’ drawing activity for the 20+ kids from the Belsize community which attended our special event, including prizes. The day started off with Caroline’s opening song for the kids and their parents. 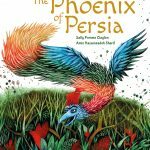 It was an absolute delight introducing Iranian-made children’s stories we produce and publish, including wise fables such as the “Parrot and the Merchant” from Persian poet, Rumi which has been translated and adapted into an English children’s story, uniquely for the first time with a female protagonist. 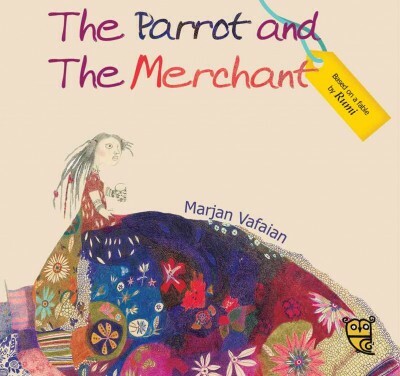 This wise fable teaches us about Mah Jahan who loves to own and cage beautiful birds she brings from her trading trips to India. The age group attending the event were between 4 to 12 years old. 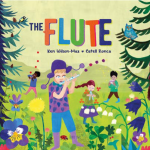 The kids despite their age completely understood the philosophical point of this Rumi story, which reminds us that when we ‘truly love’ someone, we are happy to set them free. 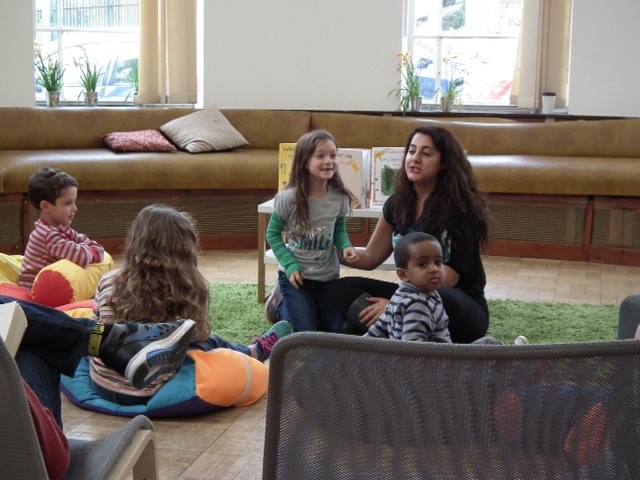 They also answered brilliantly the story reader, Tania’s philosophical questions. One of the kids, Leila, told the group that it makes her sad to keep a bird in a cage because loving them tells her to let them fly and be free to be happy. Other young listeners in the group nodded in acknowledgement. They also found Mah Jahan to be a king bird keeper who has a good heart despite keeping birds caged. 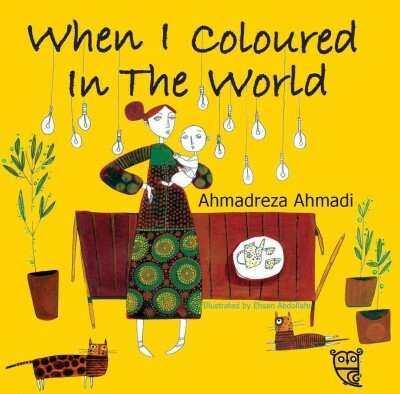 Caroline And Tania read When I coloured in the World. 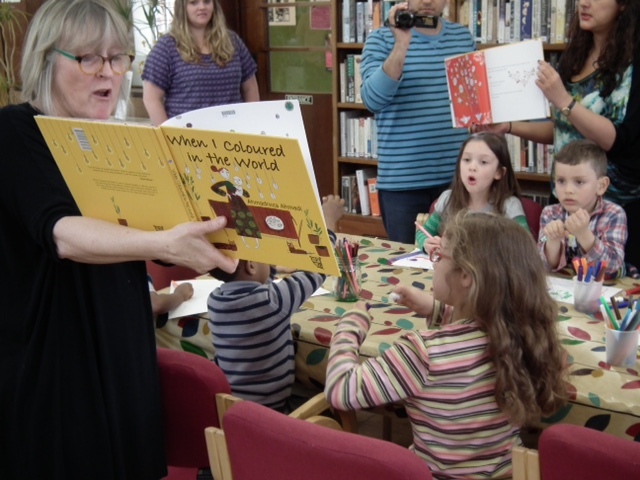 The Tiny Owl and Belsize Community Library team had a blast observing Tania and Caroline team up to read one of the Guardian best children’s books of 2015, When I Coloured in in the World to the group of kids. 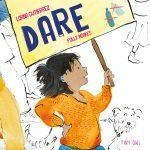 As per the theme of the book and its protagonist, the kids were asked to think of a ‘sad word’, change it to a ‘good word’ of their choice and do a drawing showing what colour they would change the sad word to. The kids absolutely loved this task and really did a heart-felt job. Some of our favourite drawings were by Ben and Malcolm who changed ‘night’ to ‘morning’ (colouring morning in orange) and ‘anger’ to ‘happiness’ (colouring happiness in green). These two drawings won two prizes! 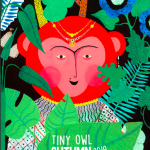 Two children’s books from Tiny Owl. The day also ended on a cheery note with Caroline’s wonderful singing and dance along with the kids. 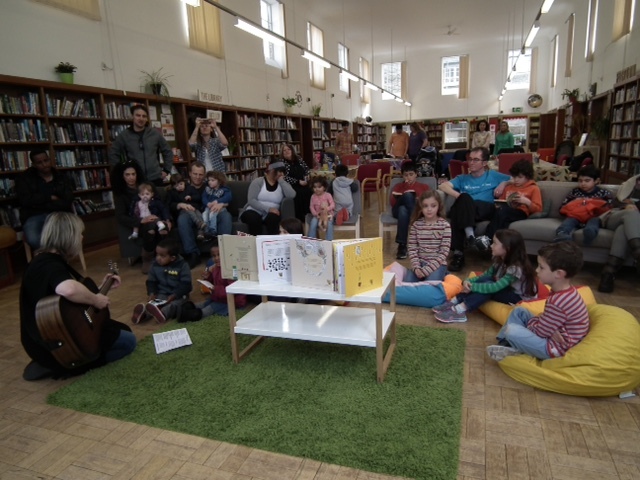 A big thank you again to Belsize Community Library staff including Lucy, Caroline Chan for her songs, Myra Newman from Neighbourhood Friends at Belsize Park, and Tania Khojasteh from Über Tutors. To read more about Rumi please see here.